WASHINGTON — A widely anticipated agreement between President Trump and top Democratic leaders to work on legislation to protect hundreds of thousands of young undocumented immigrants is in doubt nearly three weeks since it was announced, putting the legal status of “dreamers” at risk ahead of a spring deadline. Republican lawmakers who dined with the president Monday night cast doubt Tuesday on Trump’s talks with “Chuck and Nancy” – Senate Minority Leader Charles E. Schumer, D-N.Y., and House Minority Leader Nancy Pelosi, D-Calif. – about plans to protect eligible children of undocumented immigrants and make changes to the nation’s border security. The trio agreed to work on coupling protection of “dreamers” with legislation to bolster U.S.-Mexico border security, but not include the construction of more border wall. But no specific items were agreed to, and Democratic leaders say they are still waiting for Trump to submit ideas on how Congress should proceed. Hanging in the balance is the legal status of roughly 690,000 dreamers protected by Deferred Action for Childhood Arrivals, an Obama-era program that Trump last month decided to end, giving Congress six months to come up with a solution. Failure to act also would rob Congress of a chance to strike a bipartisan agreement on a key part of the protracted immigration debate at a time when Americans are fed up with the lack of progress on Capitol Hill on health care, taxes and other matters. Republican lawmakers, wary of Trump cutting deals with top Democrats, sought Tuesday to discount talk of a bipartisan agreement. Sen. Tom Cotton, R-Ark., who attended Monday’s fish dinner at the White House, dismissed as “spin” the idea that Schumer and Pelosi had a deal with Trump. “President Trump said there’s no deal, (White House Chief of Staff John) Kelly, who attended that dinner said there’s no deal. 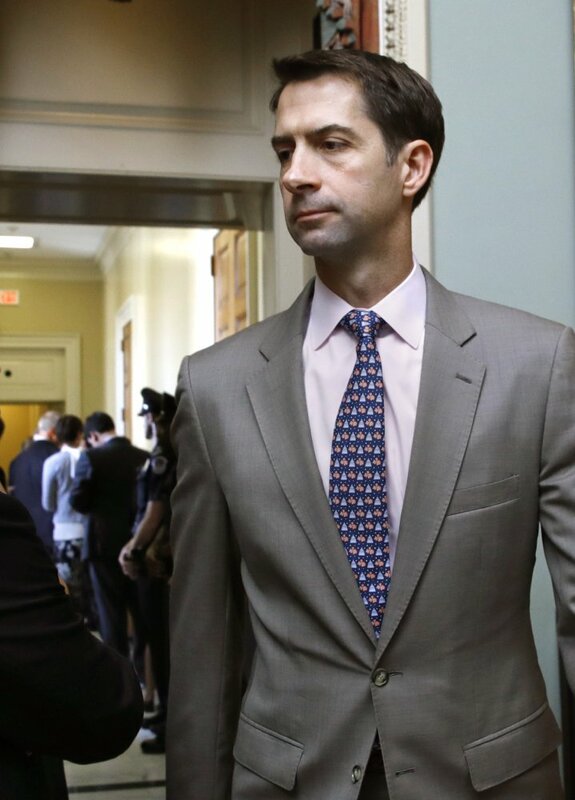 So there has to be a negotiation that occurs between the House and the Senate,” Cotton said. Cotton also said that Trump agreed with the lawmakers that any agreement to protect dreamers should apply only to the roughly 800,000 people who’ve ever been protected by DACA – not to all children of undocumented immigrants, who number more than 1 million. House Majority Leader Kevin McCarthy, R-Calif., who was also at the dinner, said that Trump urged Republicans not to rush into a debate on immigration.